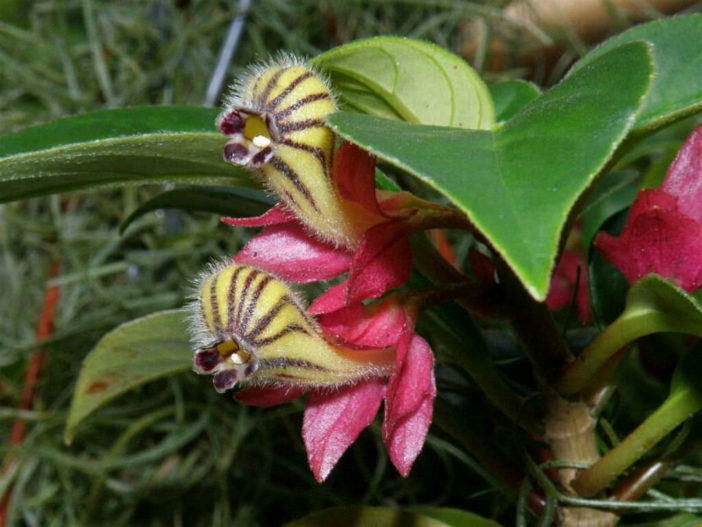 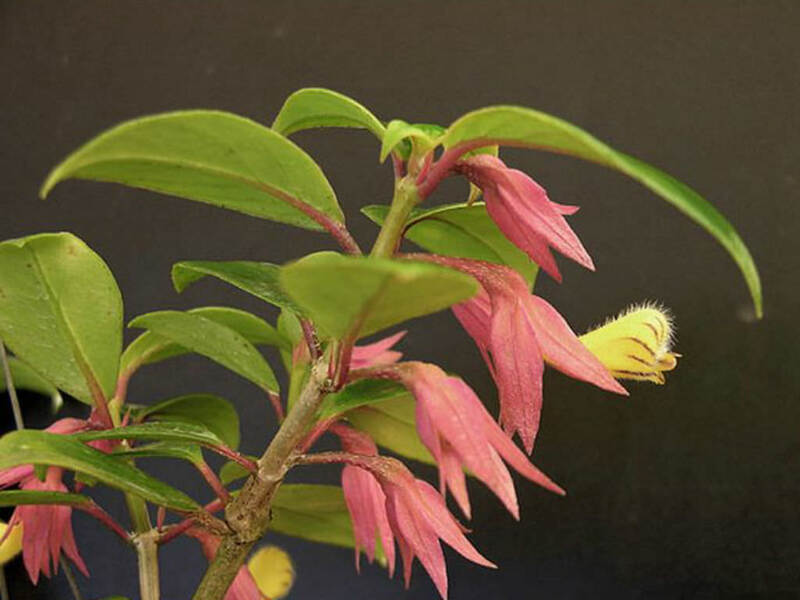 Nematanthus tessmannii is an epiphyte subshrub up to 32 inches (80 cm) tall. 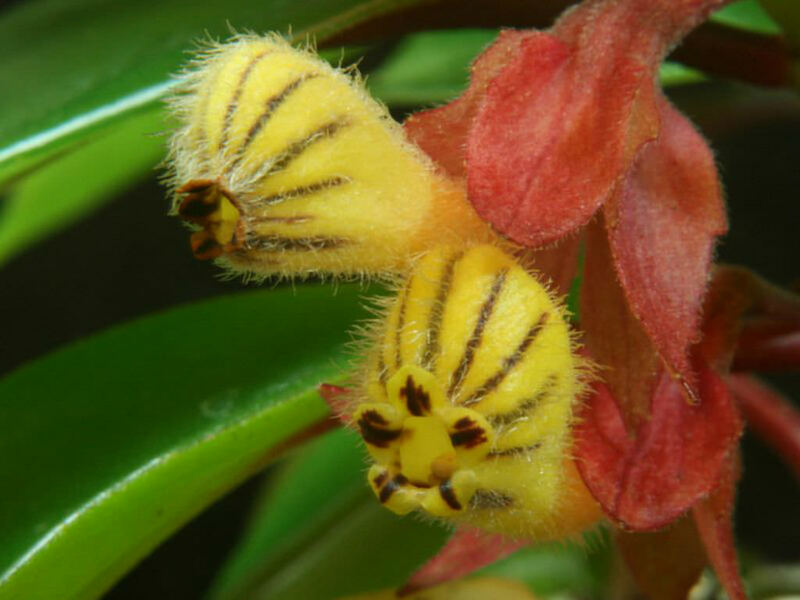 The leaves are green to brownish, obovate to elliptic and up to 1.6 inches (4.5 cm) long. 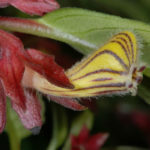 The flowers are yellow with brown stripes and appear in summer. 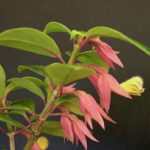 If you have a high light area that calls for a hanging or table plant that flowers, Nematanthus are a perfect choice. 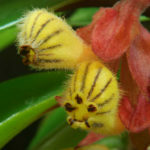 Plants are easy to care for, drought resistant, and, with proper care, can bloom all year. 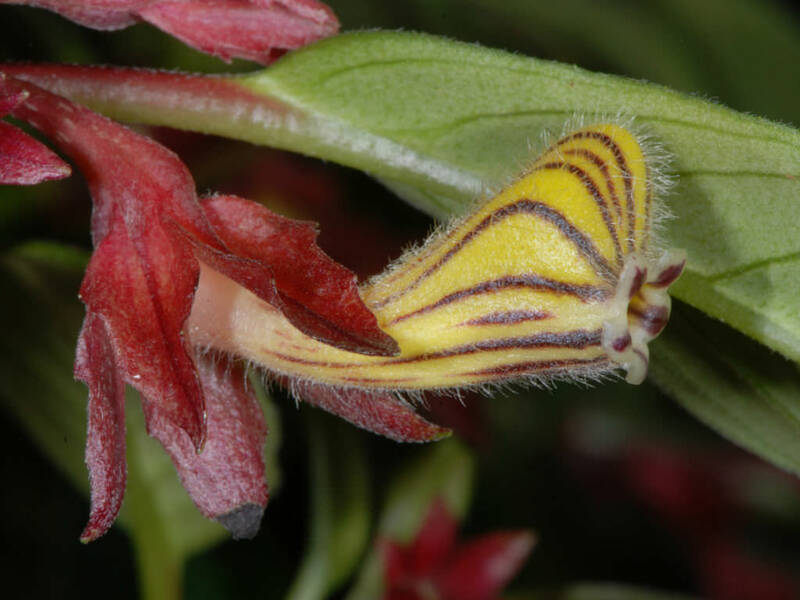 Nematanthus albus is native to Brazil.